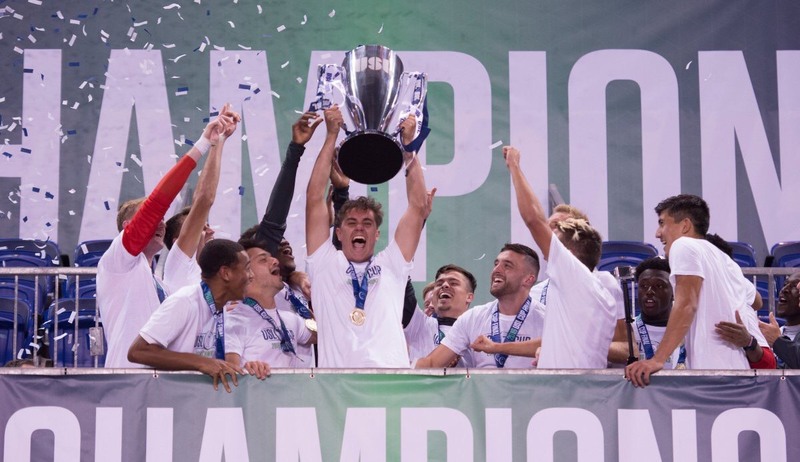 Signature Championship Rings is dedicated to providing the highest quality championship rings at the best possible prices so your entire team can remember and celebrate your winning season for years to come. We take our craftsmanship and design seriously. In fact, we are so confident in the work we do that if you don’t love your finished product, you won’t pay a penny. So let's get started on designing a ring fit for a champion! "I've been working with Signature for 7 or so years now and Chad and company has taken care of me and the organizations I'm ordering from very well. I will forever be loyal to SSJ." "North Hunterdon located in Hunterdon County, NJ, waited since 1975 to win a state title in Football. The players, coaches, and the community could not have been happier with the design and the final product of the state championship rings! This was the icing on the cake for the 2017 Lions. Thank you! " "I was pricing rings from the Big ring companies and realized that we would have to "scale down' from what we actually wanted. I stumbled upon Signature and was somewhat concerned about what we would get. 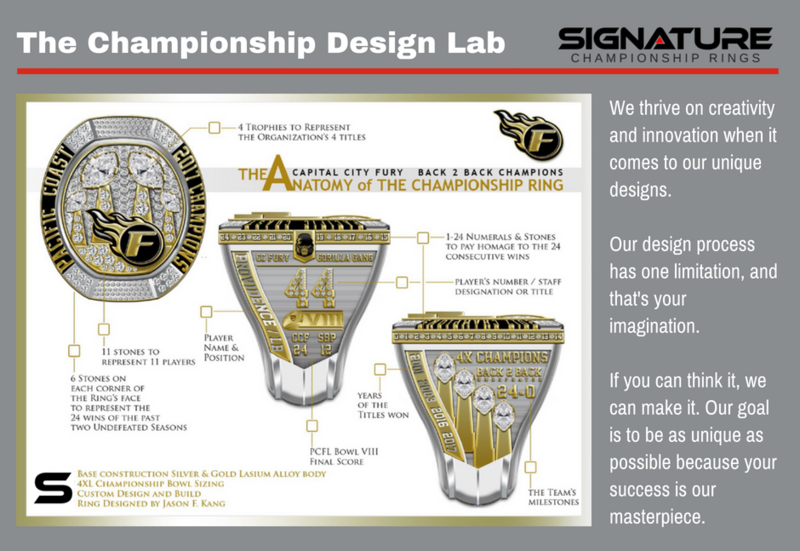 Through the process of working with Signature and seeing the literature, we decided to move forward with our rings. We made the right decision knowing that we would be taken care of with the warranty and the customer care. We will continue to use Signature for all our future ring needs! By the way, folks want to know what NFL or college championship team I played for! They also say, ‘NICE RING!! !’"
"'was the first word that came out of our mouths when we saw the team rings! We simply love the rings; the craftsmanship is outstanding! It took a great step of faith to do business over the internet! We are from Louisiana, and that is a long way from Lincoln, Nebraska. Boy, I am glad we did.We want to say a mighty thank you to Mr. Chad Beeman and his entire staff, especially Ms. Denise for all their hard work and patience with us.We thank you for working with us financially! That was priceless! We will definitely call upon Signature Style for all of our ring needs." "We won a CIF-SS Football Championship for the first time since 1929. We needed to commemorate the moment for our players. We talked to many CIF approved companies and Chad offered us the best product at the best price. He beat the competitors by at least $50 for a basic ring. Chad and his design team were great throughout the entire process helping us to design the perfect ring for our program. Rings arrived in time for our banquet and were exactly as described. Couldn't ask for a better experience from the first email until the last. We would without a doubt use Signature and recommend them!" "I will always recommend Signature Championship Rings to anybody interested in buying the best rings available in the industry. Thanks for making Clayton Valley's Football Ceremony more special with another set of incredible rings!"